The Importance of Current Detection. In one of the many court cases involving powerline electrocution, the shark-like prosecuting attorney concluded: “An uninsulated high voltage power line carrying a deadly current must be considered one of the most dangerous contrivances known to man.” History would agree, over the years many people have made unintentional fatal electrical contacts with this hidden danger. Recognizing the sources of voltage and current gets murky and, quite often, energized objects go undetected. We, as human beings, do not have the ability to see, hear, or smell electrical hazards. Many lives have been lost due to electrical currents since the earliest days of its development. We are in dire need of a “sixth sense” to see or hear electricity before it kills, especially when conditions become murky. Some animals have an innate ability to sense electrical energy. Electroreception is the term used to describe an animal’s ability to perceive electrical stimuli. This is most often observed in aquatic animals although there a few notable exceptions. The spiny echidna and platypus are two Australian mammals that utilize specialized electroreceptors to detect the electrical fields generated by their prey. Also, it has been recently discovered that honeybees are able to detect the electrical fields of flowers by utilizing certain tiny hairs on their body. 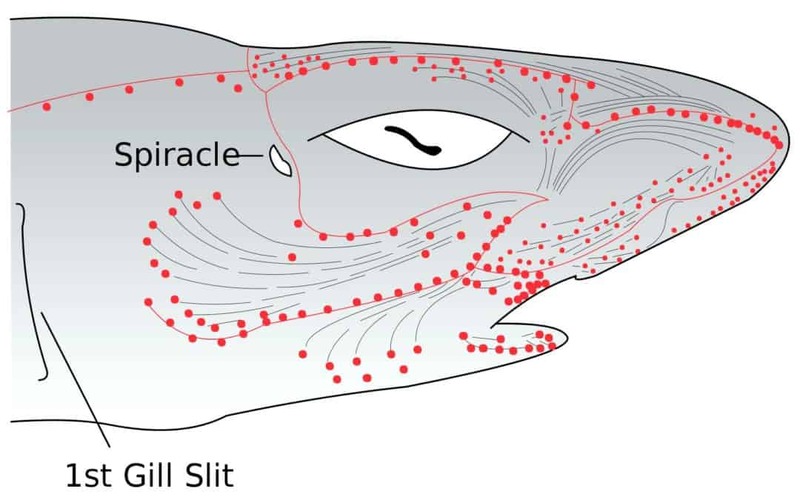 Aquatic animals, like sharks and rays, have some of the most notable and best understood methods of detecting electrical fields. Sharks have specialized pores called the Ampullae of Lorenzini located around their head and snout. These special pores are linked to their nervous system’s jelly-filled bulbs. When light levels are low, sharks will use these organs to perceive the electrical fields given off by prey or other sharks. The intensity of the electrical signals helps them determine the proximity and location of the electrical field source in a 360-degree radius. They also use these same organs to perceive the magnetic fields given off by the earth as they navigate the world’s oceans. Thanks to a groundbreaking design, a new technology exists to give us “shark-like” senses. Energized objects, such as high voltage powerlines, produce and give off electrical and magnetic fields. Safeguard Equipment’s COMPASS uses special detection components linked to form a central “nervous system” comprised of its software and indication systems. With this intelligent augmentation, it is easy to recognize the COMPASS as a digital enhancement of our existing human senses. With COMPASS, users can use current detection to detect threats. Compass offers the ability to detect current through conduit. As it’s worn on a hard hat, the unit allows a wearer to see the direction and intensity of an electrical field. The COMPASS design factor allows it to interface with the wearer’s natural hazard detection systems, their eyesight and hearing. With a little training and understanding about using the Compass, electrical safety can be taken to a deeper level. 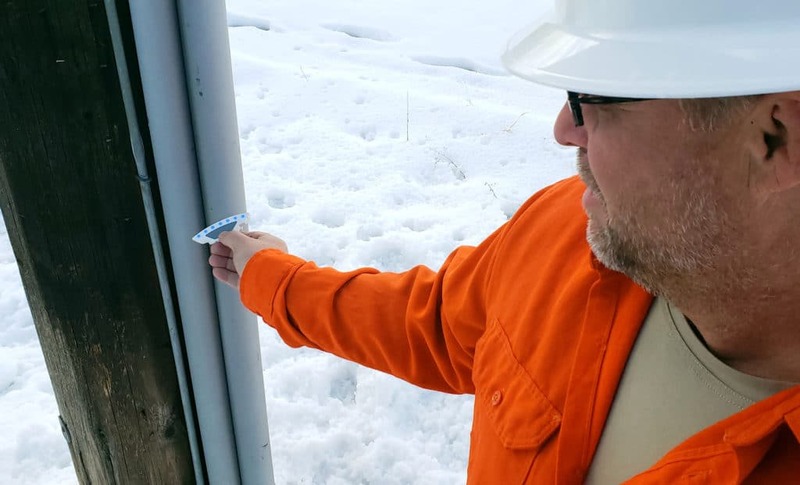 Existing safety rules, protocols, and precautions like minimum approach distances, lock-out tag-out, direct contact testing of conductors and equipotential grounding will always be necessary. But, by incorporating the “sixth sense” of a Compass unit, there will now be an additional level of protection that will keep people safe from energized objects. 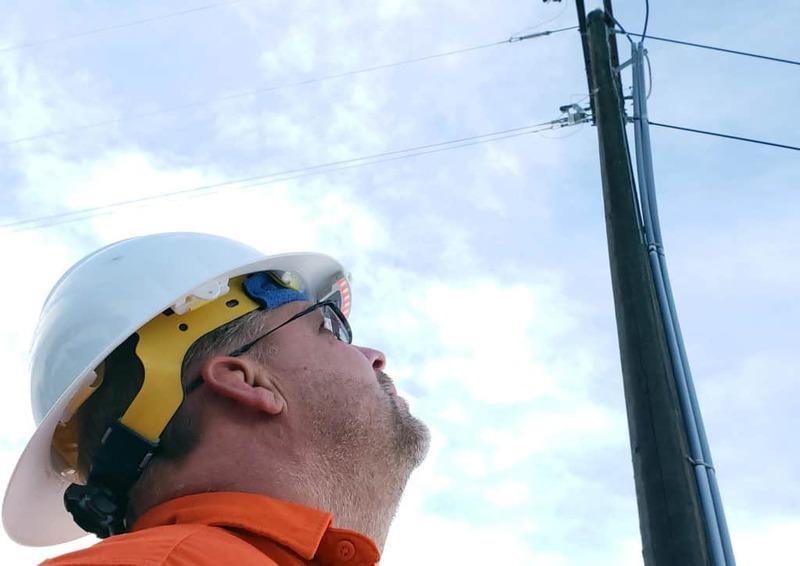 Back-feed through transformers, car-hit poles, copper theft, induction, and weather-damaged powerlines are just a few of the many electrical dangers in an ocean of safety issues. Evolve to use the COMPASS and bring a shark-like approach to your electrical safety. Compass detects overhead voltage to provide higher levels of safety.